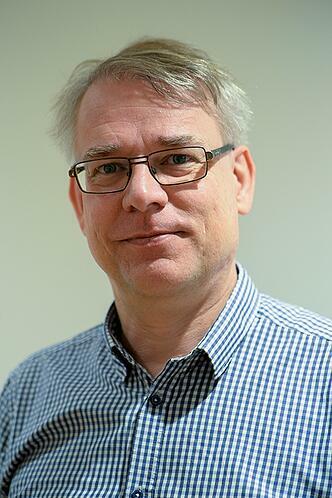 Sven, you work with the Qmatic solutions for handling analytics, which are the most important trends in your field right now? – There are several, but the most important ones are Internet of Things, machine learning and artificial intelligence on one hand and the need for security and privacy on the other. The first trends will increase possibilities to gather and process data on a level that has been unknown before. This will open endless new fields for business intelligence. On the other hand, we see things like GDPR coming, striving to increase control and privacy. To balance these trends will be a challenge for many organizations during 2018. We are developing our products to help our users to meet this challenge. It is not hard to rea lize how retailers can benefit from more customer insights, but is there a similar possible upside for the public and health sectors? – Yes, there is definitely a huge value in public and healthcare. The drivers might be different than in retail. In healthcare and public a key is to be careful with public money. They are always fighting against tight budgets and cost savings. At the same time there is a huge pressure to provide good citizen service. By using data, it is possible to achieve both. Another benefit is to provide fair and professional customer service. In analyzing the stat data, you can find if there are deviations indicating that something is wrong, for example that customers were not called in the expected order. What kind of new Qmatic offerings can you see down the line within your field? – First of all, we already have a good offering for our clients today but clearly, we are focused on helping our client make informed decisions. There is a clear trend in the evolution of data handling within Qmatic systems. It started as reports printed on paper where there was a lot of manual work for the user to get any value. Today the information can be presented on different applications, we have tools to analyze the data and even business consulting to help our users to use the data to improve their efficiency and customer experience. The next step in this evolution is to expand the business consulting and use advanced analytics to provide more information, for example Bring Your Own Data workshops where we together with a user analyze data from both Qmatic systems and other data sources to find new insights and opportunities for improvements. With more advanced analytics we can use embedded BI to provide more information at each touch-point. It can be a short message to a branch manager that an action is needed to maintain the service level, or it can be guidance to the customers that it is now better to book an appointment than to wait in a queue. With Mobile Tickets and Staff Applications we already have the surfaces needed for this information. In a world of Internet of things, smart phones, smart cars and even smart cities it is natural that you also expect smart customer journeys and I expect these journeys to be run by a Qmatic solution. In the future, what kind of insights will be feasible if one were to use Qmatic stats with external sources? – This is very much related to the question above. An important part of the more advanced analytics and the Bring Your Own Data workshops is to identify and use all relevant data sources. Most of them are going to be from other systems within the user’s organization such as EPOS systems but adding external data can provide new insights. For example, whether data can be valuable for short term planning while demographic data might be important for strategic decisions. Having spent most of my career in the software business, I never stop to be amazed over the quick-moving development we see in all aspects of digitization. 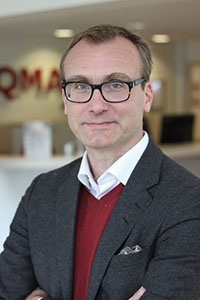 I firmly believe Sven’s field of work will be at the very core as Qmatic lead the way into the future of customer journey management and customer experience. The future possibilities within analytics will be of vital interest for Qmatic, but also for our clients as we help them connect people to services.